Mary McKay is now rapidly emerging as a bright new star on the Canadian scene. The complete package, she is a vocal powerhouse equally at home singing jazz or r ‘n b, a charismatic performer and an accomplished songwriter. Always obviously having a great time on stage, she quickly establishes a comfortable rapport with her audience, regardless of the setting. She has shone in performance at such festivals as the Brantford Jazz Festival, Toronto TD Jazz Festival, Port Credit’s famed Southside Shuffle, Jazz on the Mountain at Blue Festival in Collingwood opening the mainstage show for Holly Cole. McKay is now a popular regular on the Toronto club circuit, frequently performing at such venues as The Reservoir Lounge, Shangri-La and The Rex. Sandor Schwisberg is a pianist and composer from Richmond Hill, Ontario. 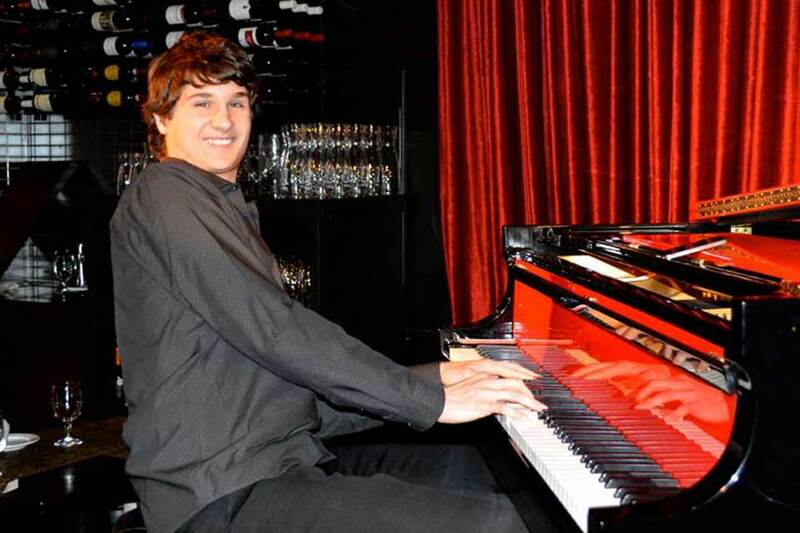 He first took up the piano at the age of 6, studying classical music through the Royal Conservatory. Since then he has performed all over Ontario in a variety of musical settings, including jazz groups, pit orchestras, R&B, alternative rock, and heavy metal bands. Sandor is a graduate of Unionville high school’s Arts York music program, where he had many opportunities to perform solo and in collaboration with other musicians, visual artists, actors and dancers. Over the years, he has had the privilege of studying with some of Canada’s finest pianists, including Ruben Vazquez, Nancy Walker, Brian Dickinson, Robi Botos, and Hilario Durán. Sandor is currently enrolled in his second year of the Humber College Bachelor of Contemporary Music program.